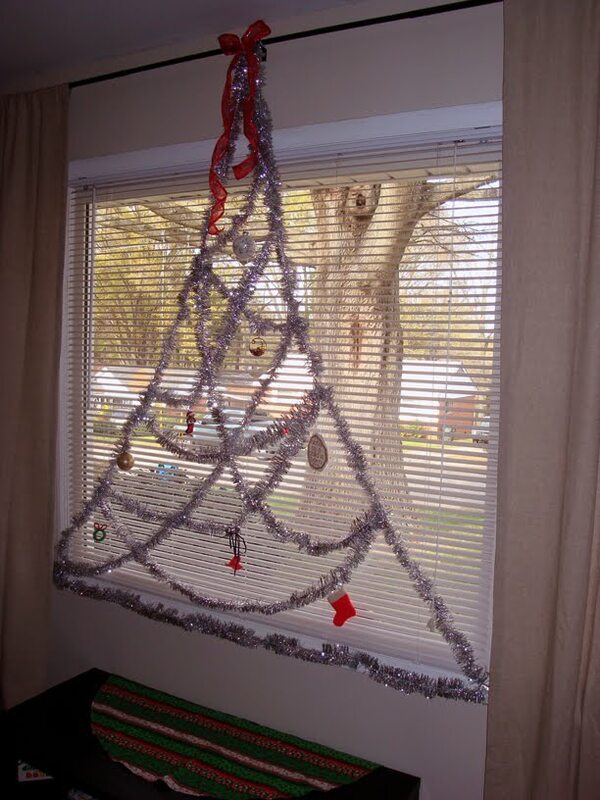 This year, Jerry and I decided not to get a Christmas tree. We went around and around about whether to get a real one, fake one, when to go, how much to spend etc. But the bottom line was, we were gone the week of Thanksgiving, I was sick last week and we are going to the Mountains for Christmas where we will have a real tree in our cabin. It just didn’t make a whole lot of sense to shell out good money for a couple weeks so we decided to skip it. 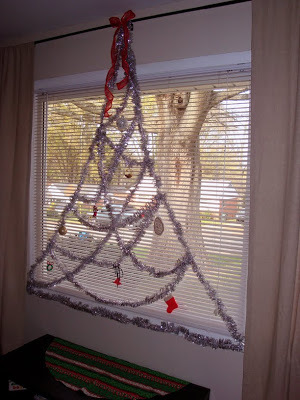 Of course, me being stuck at the house all week and staring at the empty space where there COULD be a tree, I decided to improvise! I got some ghetto fabulous silver garland at Target and decided I could do SOMETHING with it. I have to say I am loving the result! I call it the Untree Tree. It feels very Ralphie Parker to me and besides, now we have a baby friendly tree and a place for gifts when we open them before leaving on our trip! Win! I LOVE this! Great job, it looks fantastic. Love this! You are so creative.